I love love love to snack. I’m a big fan of all things dippable and munchable. I also love bbq, which is especially great here in KC. So popcorn seasoned with my favorite BBQ rub is great snack item for me during the day when I need a good salty and spicey fix. I was pretty excited to find out that the second recipe in the Food Matters Project was Seasoned Popcorn, chosen by CookieandKate. Years ago to save money, I quite buying bagged popcorn and started buying whole unpopped kernel corn. I began popping my own popcorn in a glass container or small brown paper bag (lunch-size), saving oodles of money and eliminating preservatives. Also, I had a tendency to mow down an entire massive bag of butter-laden popcorn, only to find myself incredibly thirsty with orange-stained fingers and unaware that I had ingested 6-servings in one sitting. So if you are buying packages popcorn…stop! Popping your own is so simple, easy, and you can change up the seasoning to suit your snacking desires. Use 2 tablespoons of unpopped corn per person. 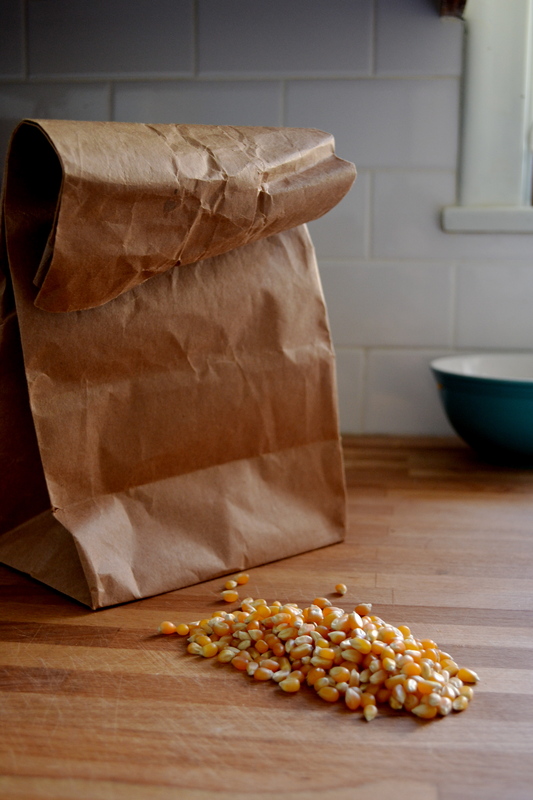 Place the corn kernels and salt in a brown paperbag and fold over a few times. Microwave on high for about 3 minutes, or until there are 4 seconds between pops. Open the bag carefully because steam will build up. Along with BBQ seasoning, I also like to top popcorn with shredded parmesan cheese, cracked pepper, and salt. 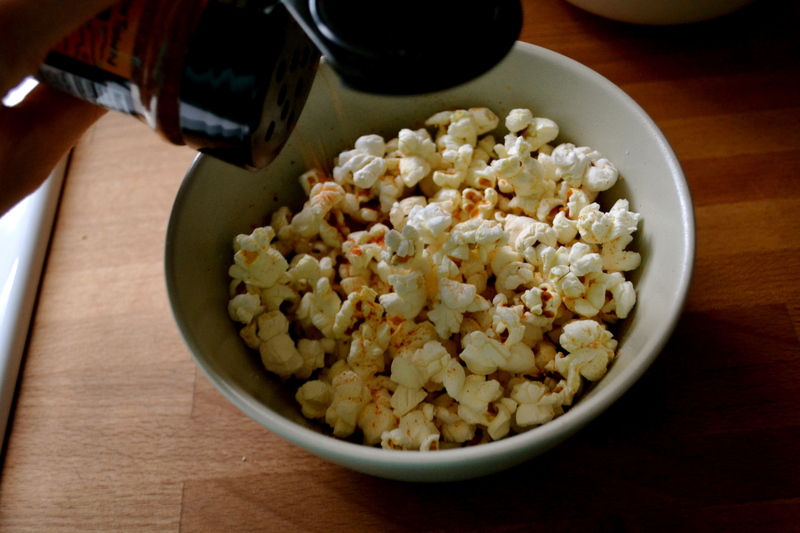 I spray the popcorn with nonstick spray to help the topping stick. You can also melt some butter and pour over…so much better than butter flavor! 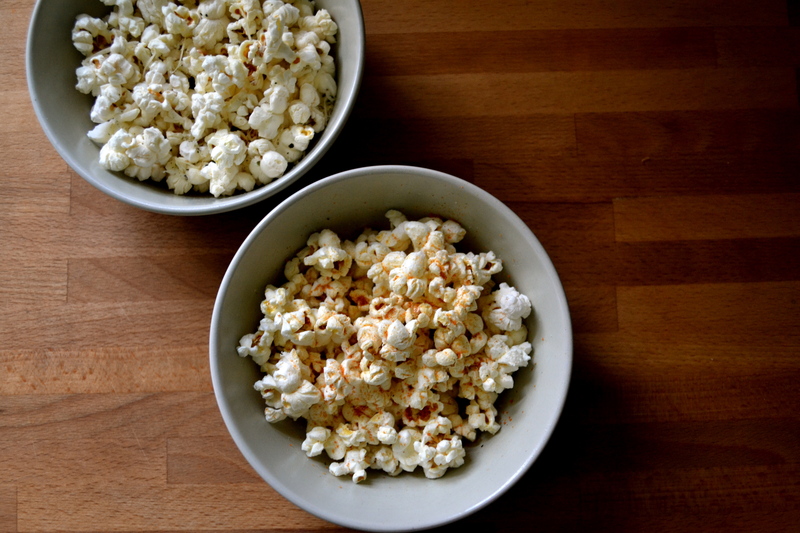 Check out the featured recipe for Seasoned Popcorn by Kate of CookieandKate. Go to the FMP website to see other great ideas for popcorn seasonings! 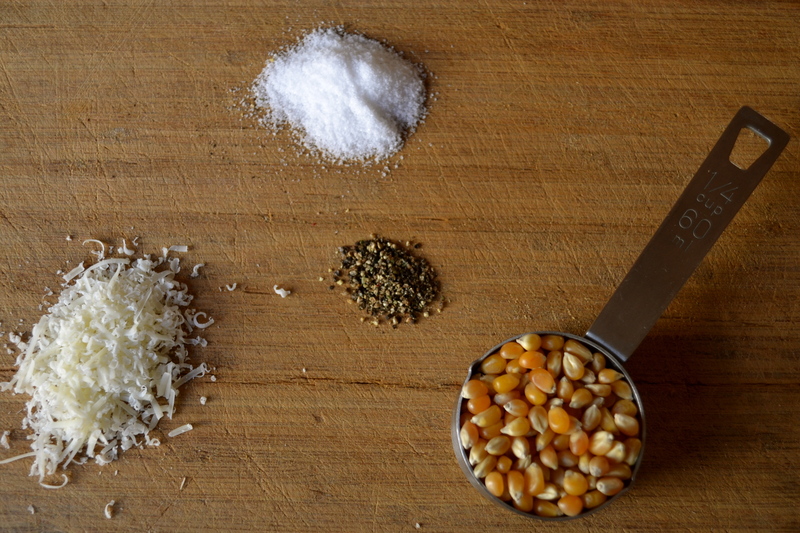 Note: The seasonings for popcorn can be limitless. For a sweet fix, top with cinnamon sugar. For a spicy kick, try curry powder. Cheesy? go for parmesan cheese or nutritional yeast (found in most health food stores, giving a good cheesy flavor). topping of choice (shredded parmesan, cracked pepper, cinnamon sugar, bbq seasoning..etc). 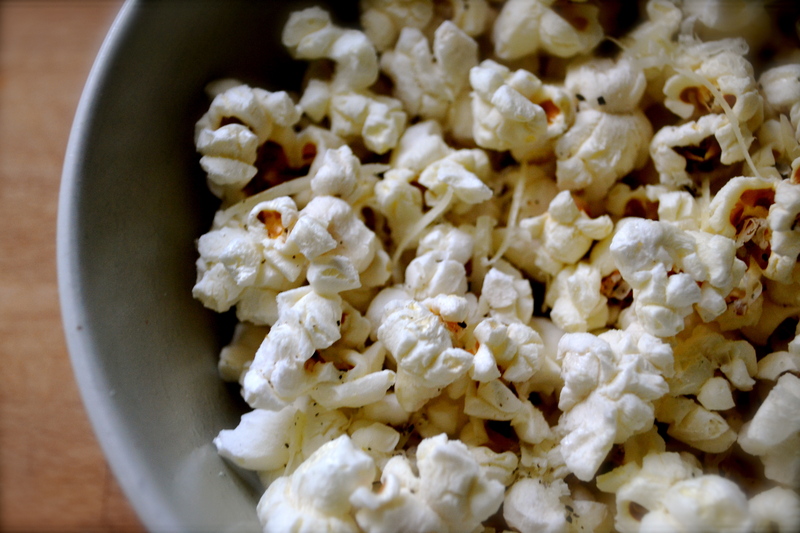 Place popcorn and salt in paperbag or glass lidded container. If in a paperbag, fold the top over several times. Microwave on high for 3 to 4 minutes (or until there are 4 seconds between pops). Be careful when opening the container because steam will have built up. Toss the popcorn with the seasonings. Love that you put a Kansas City spin on your popcorn, Alissa! We’ll have to make some the next time I visit. BBQ popcorn – nice! I need to file this away next time a BBQ Potato Chip craving hits. I wasn’t even aware of bbq seasoning! I’m going to have to check that out. 🙂 Thanks for the idea. Found your post form Food Matters Project. I use a basic BBQ rib or poultry rub from my favorite KC BBQ restaurant, Oklahoma Joes.